Written by WeeblrPress on 17 October 2017 . This weekend was spent in Dublin a crowd of more than 200 WordPress enthusiasts. 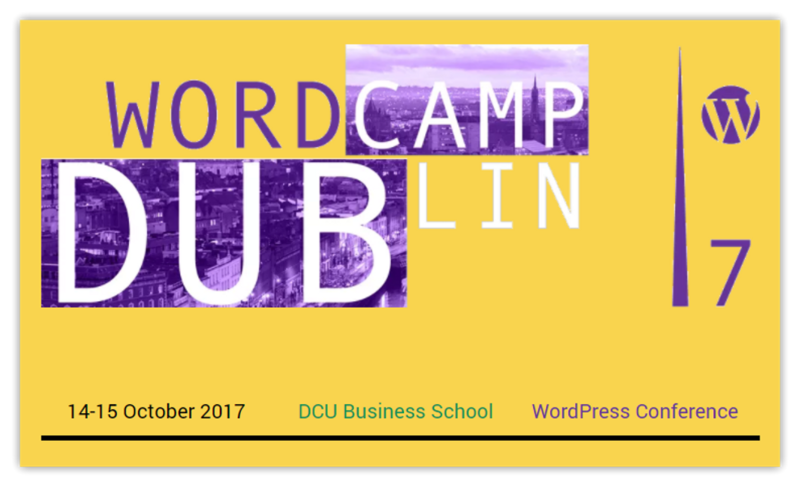 Although the first WordCamp in Dublin, it definitely looked the wonderful organizing team had been doing this for years! Everything went smoothly in a perfectly picked venue with large rooms, fine equipment and plenty of networking time. Kudos and may thanks to the entire team, including Rodolfo, Ramit, Mark Colm and all the numerous volunteers that made it possible! Amanda Webb's talk,"Not your usual talk about getting Blog readers" packs useful, real-life, no-nonsense information that should help you get, well, more readers on your blog. She also lists tools such as headlines checkers or content analyzers that will help you write better content. Juan Felipe Rincón from Google gave a global, yet accurate description of "how Google works", sorting out things that matter more and those that you don't need to worry about too much if you care about SEO. For those who could not make it, all talks will soon be on WordPress.tv, and I certainly encourage any one to give them some time, really informative regardless of what's your involvement in WordPress.